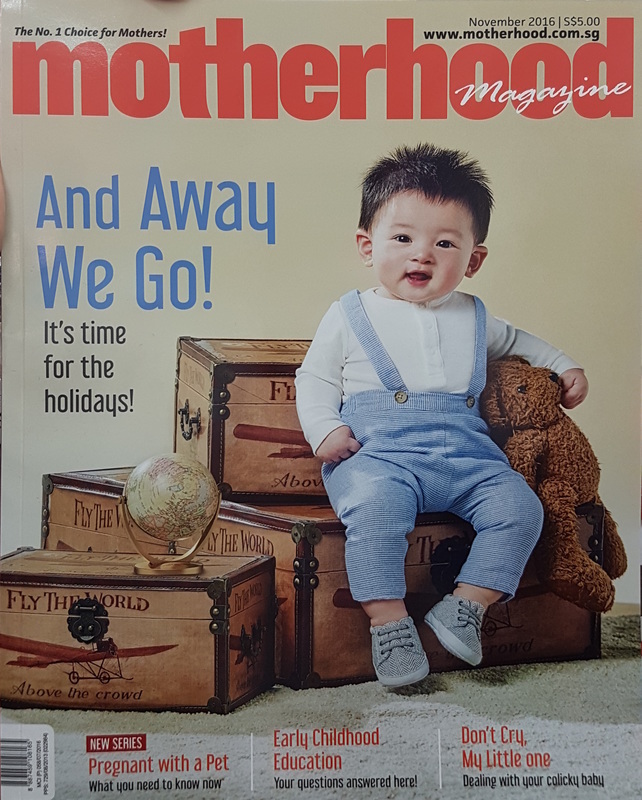 Heguru Method @ HarbourFront and Choa Chu Kang boosts a professional team who puts in their utmost effort into the preparation for every lesson from our infant & toddler programme to our preschool & primary programme. 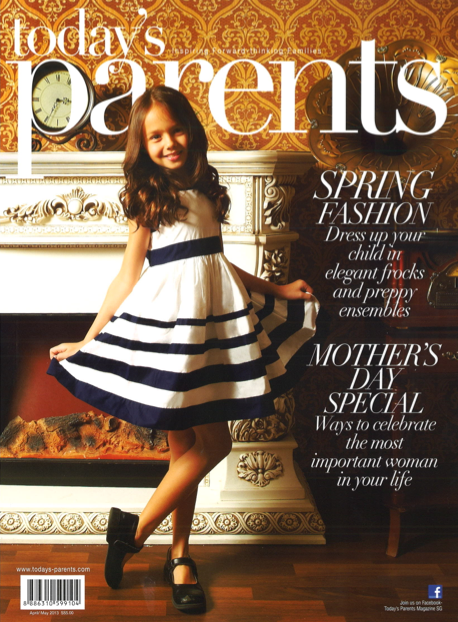 Hear also what our parents and student have to say about the benefits of the right brain training programme. Heguru Method is honoured to have been featured on the programme “A CLASS ABOVE” shown on Channel NewsAsia (07 Jul 2017). Watch the full segment to find out what makes Heguru Method Learning Centre a class above compared to other children educational programmes. Hear our principals and co-founders Agnes, Rachel, and Claire share about what makes them so passionate about Heguru Method and how they constantly try to upgrade their knowledge to make themselves better educators. WHAT IS RIGHT BRAIN DEVELOPMENT? There are so many options for enrichment classes for your child even before they enter preschool. 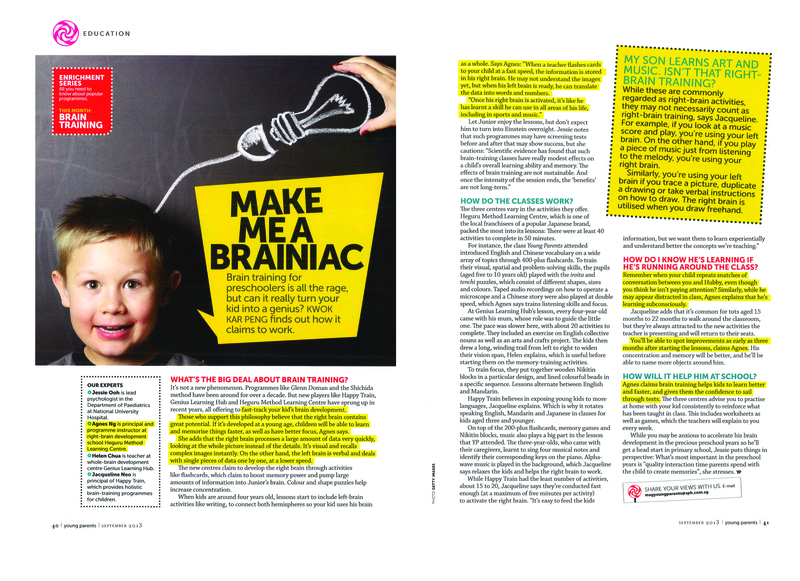 What exactly is right brain development and why does your child need this? Watch this Kandie Network production to find out more. Principal Agnes Ng giving the media a presentation of Heguru Method and how children can have a head start in life through early right brain training. Together with the strong endorsement of our founders Mr & Mrs Henmi at Heguru Method @ Fusionopolis. Enhance your child's cognitive development with Heguru Method's Right-brain training programme. 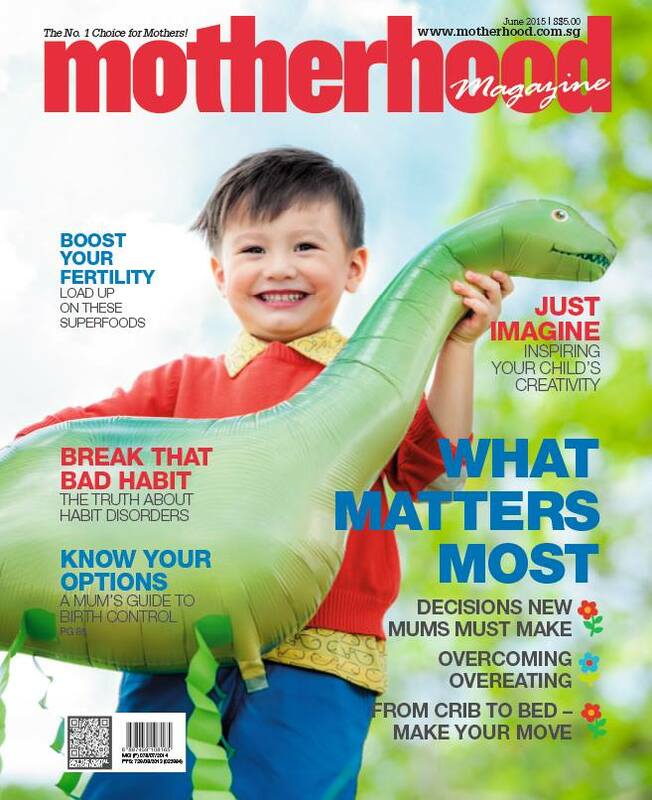 Claire shares with Motherhood magazine about her approach towards teaching and parenting as a mother of 2 young children. 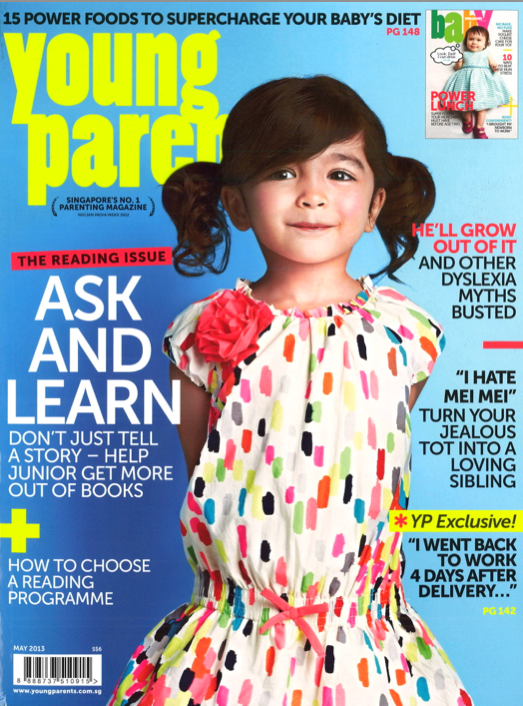 Agnes shares about how she juggles her work at Heguru Method and raising her young family. EXCLUSIVE VIDEO - FINALLY REVEALED! Dear Parents, we believe you have been eagerly waiting to catch the full video of the exclusive video interview we had last month with our Principal Mrs Agnes and Heguru Founders Mr and Mrs Henmi, conducted by TV Host Diana Ser. Here it goes (with English subtitles for the Japanese dialogue)! Thank you for your continuous support toward our team at Heguru Method @ Fusionopolis! 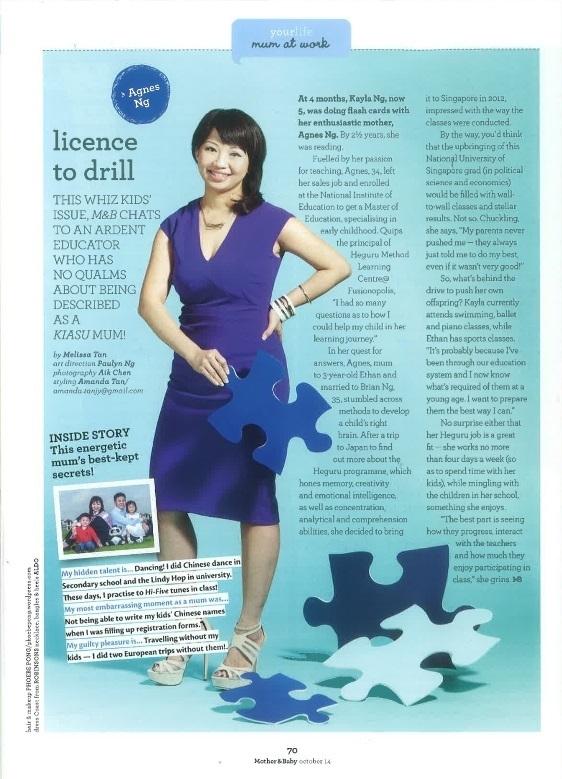 Mother and Baby magazine chats with an ardent educator who has no qualms about being described as a Kiasu Mum! And that's our Principal Mrs Agnes Ng! Keen to send your child for enrichment classes but don't know where to start? 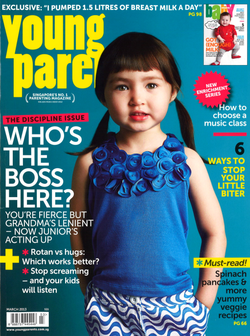 Agnes Ng, our Principal, shares tips you can follow. 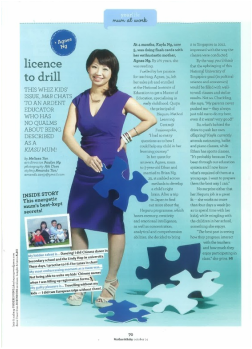 As the popularity of right brain training continues to rise, here’s what three Singapore families had to say about their experience. 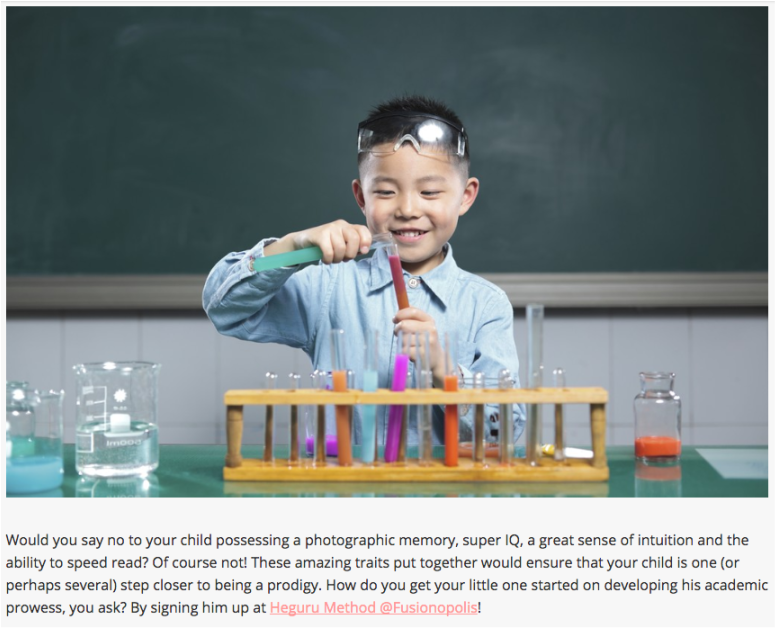 Clever clogs – could your child have genius potential? With so much more evidence on brain development available in today’s society, are we allowing our kids to develop at their absolute best? Pick the right window for developing your child's left or right brain and you'll tap his full potential. At Heguru Method @ Fusionopolis, this belief shapes its training system. Click below to read more. 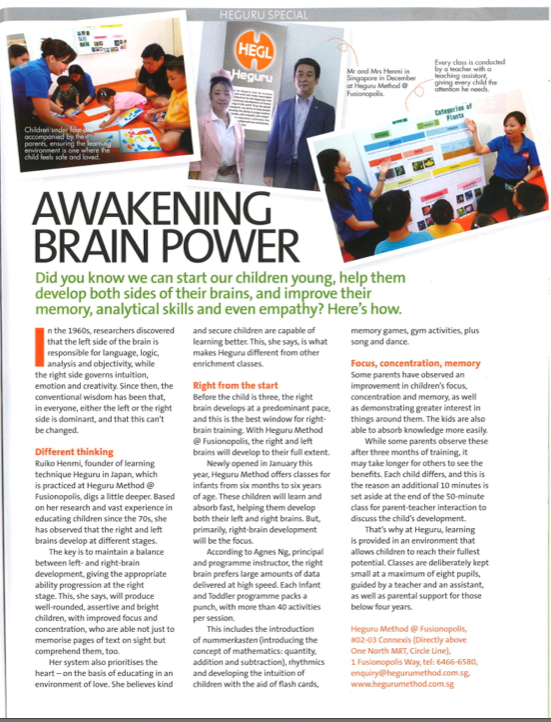 Principal Agnes invited as one of the experts to share how right brain training is beneficial for your child. What produces good education? The syllabus, the learning environment or the teachers? At Heguru Method @ Fusionopolis, it's all these and more. Did you know that we can start our children young, help them develop both sides of their brains, and improve their memory, analytical skills and even empathy?